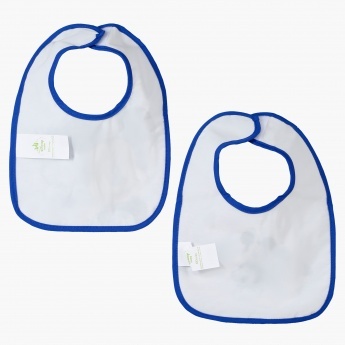 Add fun to the mealtime of your little champ by using this alluring bib set. Sporting a lovely Mickey Mouse print on the front, it looks attractive and prevents the clothes of your kid from getting dirty with food. Each piece has a hook and loop closure to easily tie it around the neck of your kid.